I received services in exchange for my honest review. All opinions are my own. 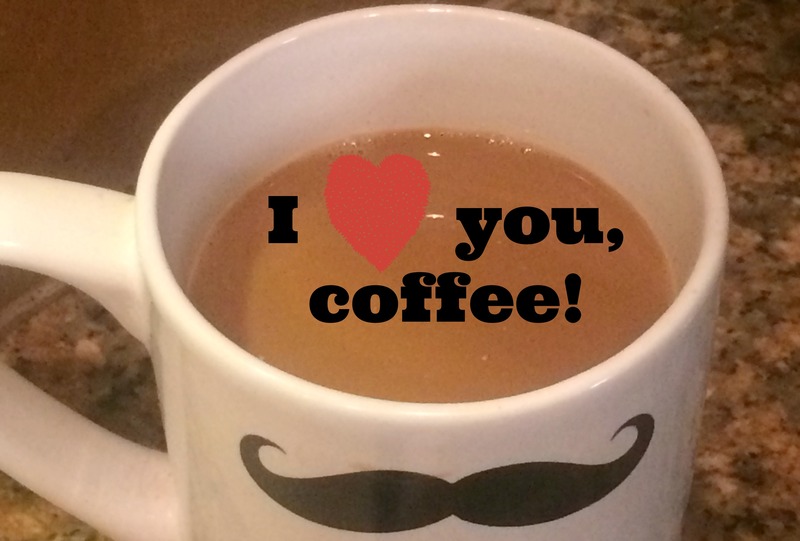 I have a love-hate relationship with coffee. I can’t imagine my morning without it but we all know that coffee is one of the things that can stain and yellow your teeth. Lately, I wasn’t loving what I saw when I’d look in the mirror at my teeth, so when I received an invitation to try out the all-new Naturally White OC, I jumped at the chance to try it out. Have you had your teeth whitened before, aside from an at-home treatment? I’d never had it done but now that I have, I feel like an in-office treatment is the best route to take. It was so convenient and simple to have done and it only took about an hour out of my day. The products used on your teeth at Naturally White OC are made with a plant and mineral based formula. The active ingredient in the whitening gel is a food-grade hydrogen peroxide that contains three key minerals to stabilize and strengthen the enamel. All of the products used at Naturally White OC are made in the U.S. so they’re compliant with FDA regulations. They make sure that every ingredient that goes into their products is safe for all clients to use, including children (13 and older). The results are guaranteed to lighten your teeth 3-12 shades lighter from just one visit! (One visit is broken into three 20-minute sessions.) What’s A Visit to Naturally White OC Like? When you first arrive at Naturally White OC, you are greeted by someone from their friendly staff, which actually seems more like one big family. There’s some initial “paperwork” to fill out, similar to what you do at a doctor’s office, except this is all done on an iPad. How fun and modern is that? 2711 East Coast Hwy Unit C.
I loved my in-office treatment at Naturally White OC and love the way my teeth look now. I feel more confident about my smile after my treatment. 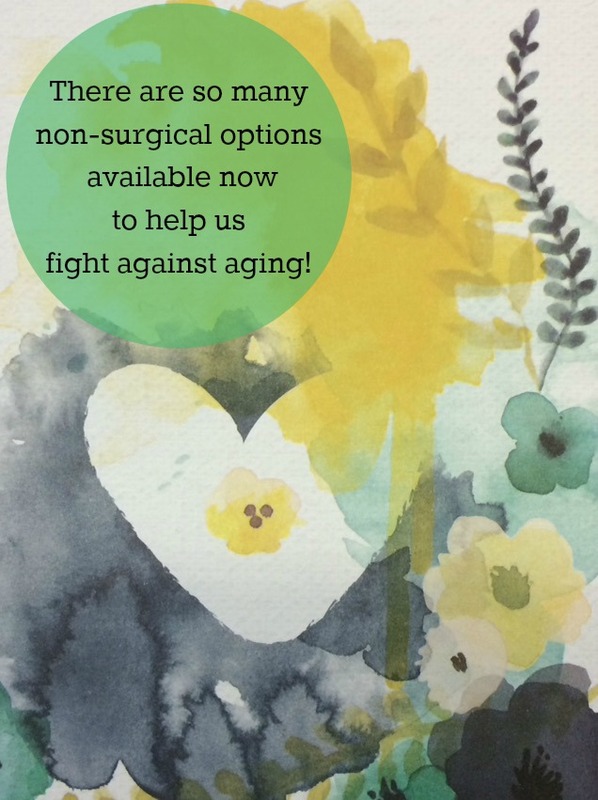 Book your own appointment today, either online or by calling 949.287.6988. Connect with Naturally White OC on Facebook and Instagram. Have you been to Brea Mall lately? It’s the perfect place to go for a day out. Not only can you shop but there are tons of dining options, including restaurants and an entire food court. The center features five major department stores including Nordstrom, Macy & Macy Men Children & Home, jcpenney, and Sears, and more than 175 specialty shops. It’s also home to a full-service day spa, The Spa at the Glen. On my last trip to Brea Mall, I got an extra special treat: a pedicure! Who would’ve thought you could shop, dine AND go the to spa, all in one trip? The Spa at the Glen is located inside Brea Mall and provides world class spa treatments performed with care and skillful touch Services include massage, body scrubs and wraps, facial treatments and professional skin care, manicures and pedicures. You can schedule an appointment for a service and enjoy the spa amenities either before or after your service. (Next time I’m going to go and spend the entire day inside the spa.) Why not plan a relaxing day of shopping, dining, and a visit to The Spa at the Glen on your next trip to Brea Mall? It’s a beautiful facility and allows you to be pampered before, during, or after your shopping trip. I’m hosting a giveaway on my Instagram page for one (1) of my readers to win a $50 Brea Mall Gift Card. You must enter on my Instagram where you see this photo. The giveaway is open to U.S. residents, 18 years of age and older. For more information about how to enter to win, please go here. Entries will be accepted until 11:59 p.m. on 11/23/17. One (1) winner will be chosen via Random Number Generator and announced on my Instagram post. Winner will be verified and contacted via DM on Instagram. Winner must be able to pick up gift card prize in person at Brea Mall. Good luck everyone! Thanks for reading! To learn more about The Spa at the Glen, or to request an appointment, please visit their site here or call 714.990.2090. For more information about Brea Mall, please connect with them on Facebook, Twitter, and Instagram. Some images may be property of Brea Mall and used with permission. The “Relax” Gift Card Package: Mom will “Relax” with the Passion Fruit and Agave Pedicure along with her choice of a 50-minute Pure Relaxation Massage or Spa Style facial starting at just $149 ($189 value or higher). The “Escape” Gift Card Package: Mom will “Escape” with a Passion Fruit and Agave Pedicure, a 50-minute Pure Relaxation Massage -and- a 50-minute Spa Style facial all starting at $249 ($308 value or higher). The “For Two: A Special Mother / Daughter Experience” Gift Card Package: Mothers and daughters will share in a relaxing experience and enjoy the nourishing Passion Fruit and Agave Pedicure with their choice of a 50-minute Pure Relaxation Massage -or- a 50-minute Spa Style facial for just $299 ($378 value). Please note: Guests must be 18 years of age to enjoy a massage. Pedicure services are not available at the Mission Viejo spa and will be substituted with a 25-minute Salt or Sugar Glo for the Mother’s Day packages. 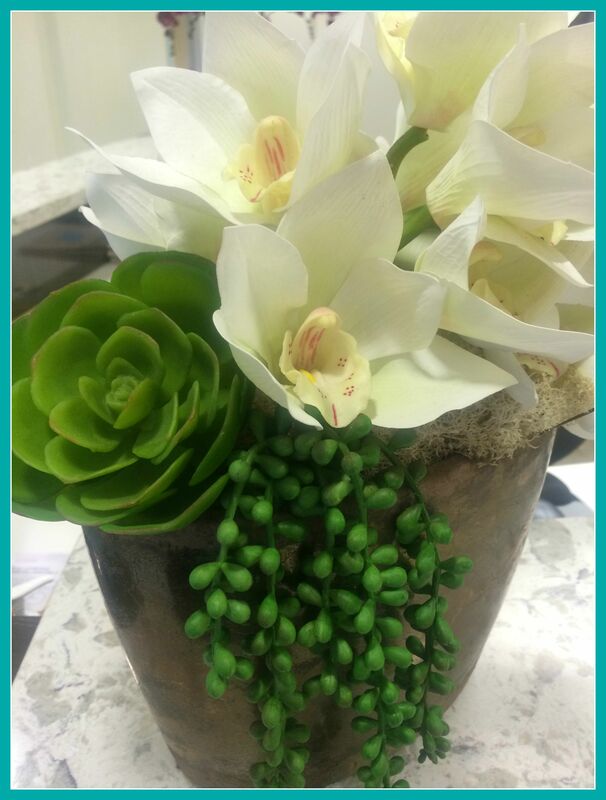 Go beyond the spa with Burke Williams this Mother’s Day. Visit a Burke Williams spa location near you or online at http://www.burkewilliamsspa.com to purchase gift cards or make a reservation at one of their locations. Images are property of Burke Williams. Just Say “No” to Wrinkles! This post was sponsored by RoC® Skincare as part of an Influencer Activation for Influence Central. All opinions are 100% my own. Let’s talk about skincare and skin damage. I can still hear my mom warning me to take better care of my skin in the sun as a teenager. Did I listen to her? Nope! I thought I was invincible! Luckily, I didn’t do too much damage to my skin but now, as an adult, I try to do anything I can to help counter the effects of aging on my skin. I think for the most part, I’ve been pretty lucky in the sense that others always think I’m younger than I really am. However, I recently started to see more lines on my face over the past couple of years. I think they’re called “wrinkles”? 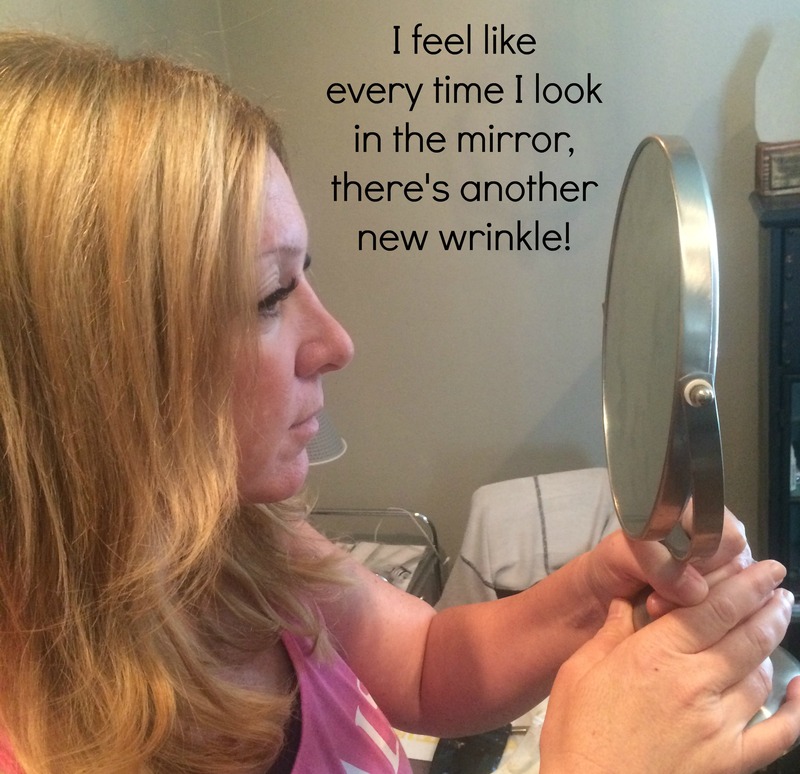 Well, I’m here to just say “NO” to wrinkles! I was excited and anxious to try the some RoC® RETINOL CORREXION products I received in the mail as part of an anti-aging solution. I’m all about using quality skincare products that work. Have you heard of RoC® Skincare before? It’s been a leading French skincare brand for more than 50 years. They are devoted to developing anti-aging products that guarantee visible and lasting results for healthier skin. RoC® Skincare is considered “a pioneer” in visibly reducing the appearance of wrinkles, the brand was the first to stabilize and patent pure retinol in a cosmetic product and has continued to improve its aesthetics, tolerance and efficacy over the past 25 years. Here’s something else interesting about RoC® Skincare. This past year, they partnered with Sperling’s Best Places and performed a meta-analysis called the RoC® Wrinkle Ranking. It’s a study that determines which metropolitan areas in the U.S. have residents’ whose skin is most at risk from damage by their lifestyle and environment in the year 2040. Look at this map! Is your area on it? 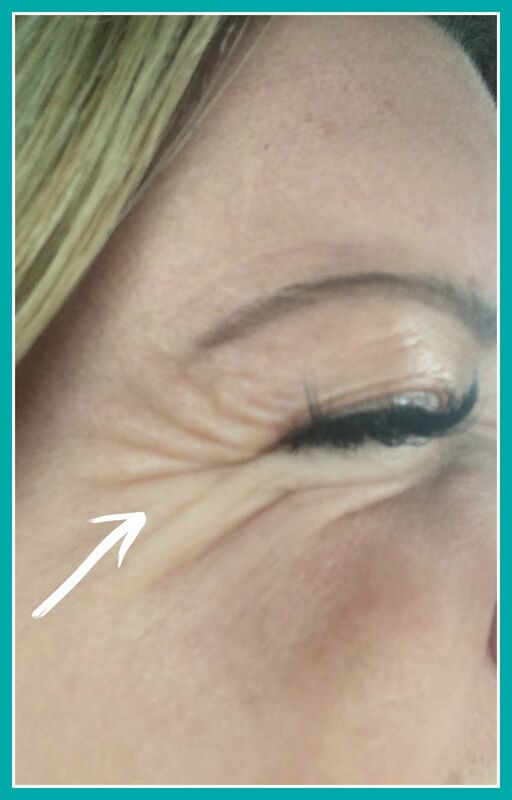 For more information about the 2016 RoC® Wrinkle Ranking, go here. Since starting to use the products just a few weeks ago, I can already see a difference in the way my skin feels and its appearance. My fine lines seem like they’ve lessened. Of course there are other things you need to do to help with the aging, like avoid sun exposure and drink plenty of water, but I’m in love with these products and feel like they’re really helping. For more information about RoC® Skincare products, visit the site here. You can find the products at Target and CVS. Do you have any tips, tricks, or great products that you use fight aging? Share them with me in the comments. Disclosure: I am part of CosmetiCare’s Mom Ambassador Program. I received medspa services in order to write my review. All opinions are 100% my own. Over the past few months I’ve gotten to share about my experiences at the CosmetiCare Medspa as a part of their CosmetiCare Moms Ambassador program. 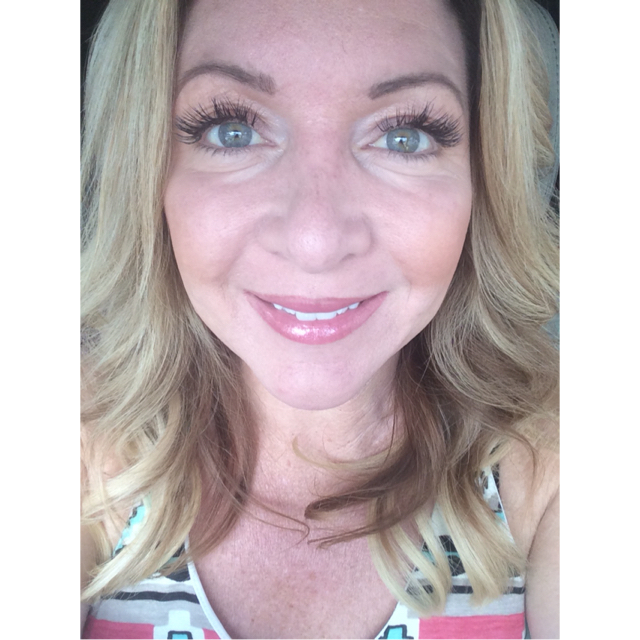 I loved trying Botox and Juvederm and am still enjoying the results. Anti-aging treatments are my favorite but preventative care is important too! 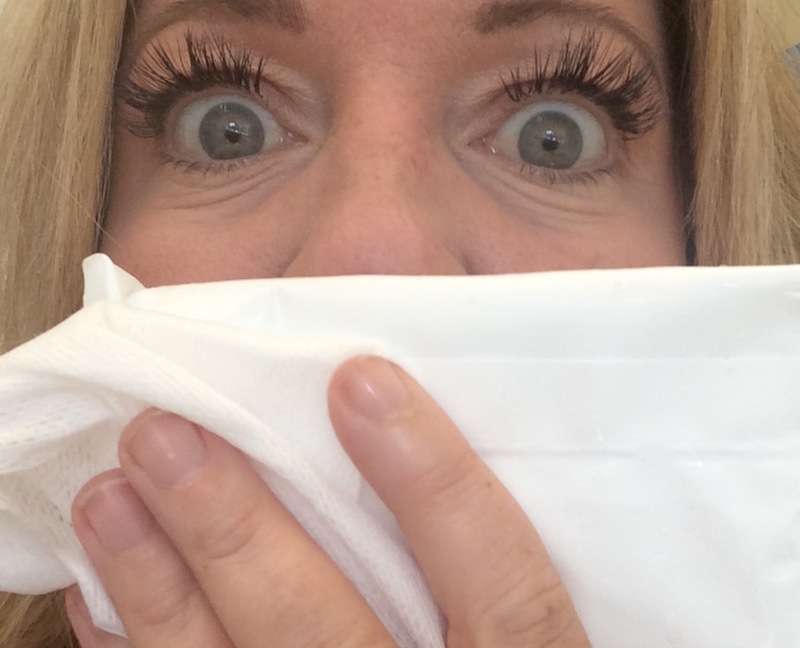 Last week I got to try a HydraFacial and it was amazing! A HydraFacial is a non-invasive treatment, that only takes 30 minutes, and helps to protect the health of your skin. It’s a resurfacing procedure that uses a patented technology to detoxify, rejuvenate, and protect your skin. Not only do you see immediate results, but there’s no downtown or irritation. Think instant gratification and maximum results in minimum time! 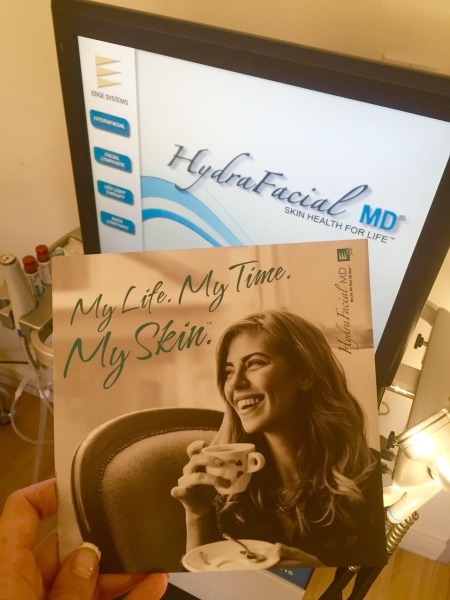 Before I tell you more about my HydraFacial, let’s just take a short walk down memory lane of my skin. I can still hear adults advising me not to sun so much when I was a teenager. I remember thinking how unwise they were. Ha! If only I’d listened, right? Sun damage is one of the biggest factors that plays a role in advanced aging. Another problem I’ve experienced with my skin is adult acne. I thought I outgrew acne after turning 30 but nope! About 7 years ago, I suddenly broke out so horribly, I didn’t know what was going on, nor did I want to go in public. After visiting the dermatologist, I learned that my hormones were the cause. After that experience, I’m always cautious about what I put on my skin because I don’t want to break out horribly. A HydraFacial can really help women achieve beautiful skin, no matter what their challenges are. 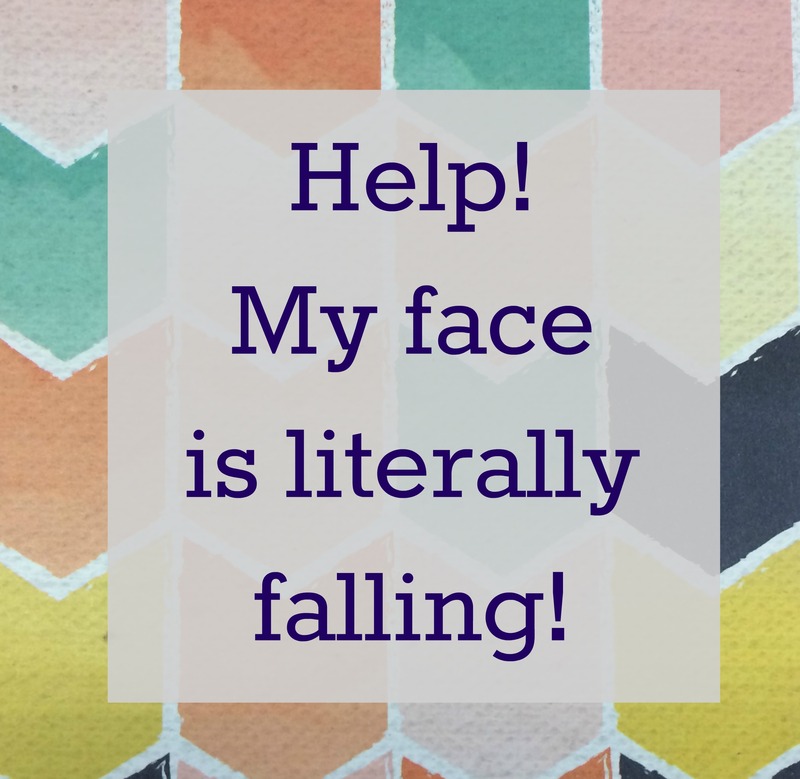 Sun damage, oily skin, dry skin, adult acne, rosacea, etc. We all have things we combat with our skin. What woman wouldn’t want to keep reverse the damage they’ve done to their skin looking while helping it rejuvenate to look as young and as healthy as possible? Cleanse and Exfoliate – The initial step in the procedure involves a gentle cleansing and exfoliation, using a special tip and Activ-4 serum. This helps remove build up of makeup and dirt and reveal new, healthier skin on the surface. Lisa explained the importance of exfoliation, pointing out that no matter how great of a moisturizer and other products you may use on your skin, without regular exfoliation, most of those products won’t even penetrate the surface of your skin. Peel – I was a little nervous about this step because I’ve had acid peels before and they really stung. Using GlySal, Lisa did a gentle peel on me, which tingled a tiny bit, but wasn’t painful at all. The GlySal serum she used is a mixture of glycolic and salicyclic acids and delivers the benefits of a peel without post-peel scaling. I never peeled afterwards! That’s a plus! Extraction – This part of a facial is never fun and be uncomfortable but it’s necessary to extract all of the things clogging our pores. 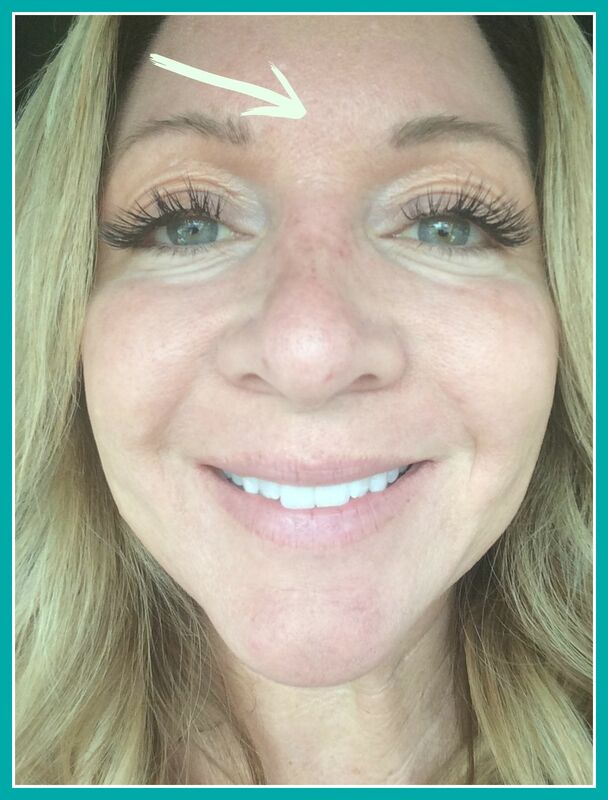 During this step of the procedure, a patented, automated suction cleaned out my pores with the use of an exclusive Beta-HD serum and without pain! My pores looked way better and even smaller, after my HydraFacial. Hydration – This step was like the grand finale. Lisa used an Antiox serum, a combination of Antioxidants, Peptides & Hyauluronic Acid, to nourish and protect my skin. It made my skin feel firmer and plumper and appear way brighter. 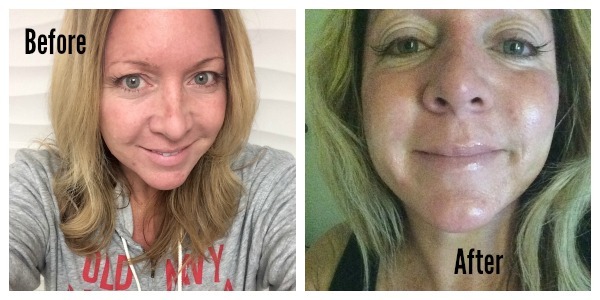 When my HydraFacial was over, my face felt so much better. It was shiny and soft and super hydrated. I felt like I walked around “glowing” the rest of the day. I swear I would get a daily HydraFacial if I could! What do you think about my “before” and “after” pics? I had several people ask me that day (and the days following) what I’d done to my skin. 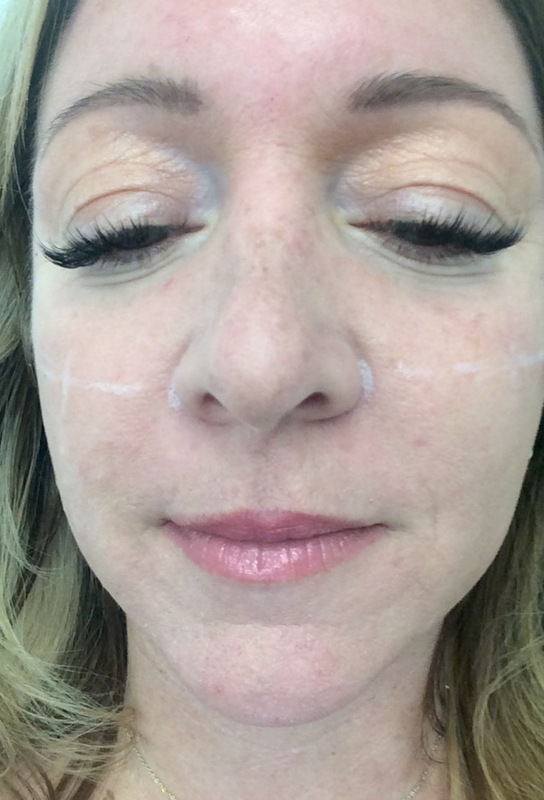 The recommended frequency for a HydraFacial is once a month. You can purchase a single HydraFacial but the best price is to purchase them in a pack of 3. For more information about HydraFacial visit CosmetiCare’s site or call to make your own appointment. 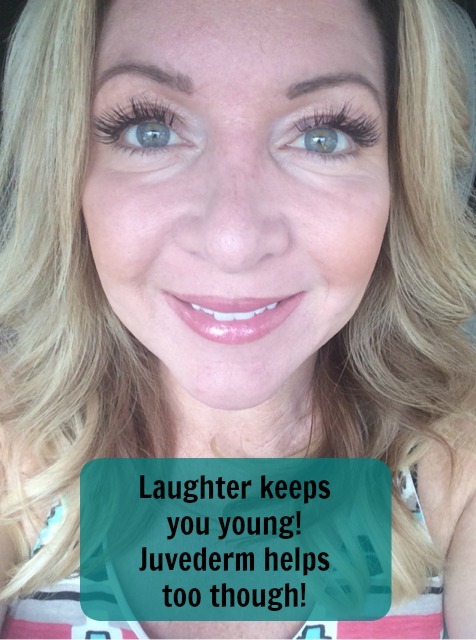 Laughter Keeps You Young! Juvederm From CosmetiCare’s Medspa Helps Too Though! It’s no secret that I love to laugh and giggle. Personally, I believe that laughter keeps you young! There’s no substitute for a good laugh, especially laughing with someone else! However, as I’ve gotten older, laugh lines on my face have gotten more visible. Aging is my least favorite thing in the world! I feel like every time I look in the mirror, there’s another new wrinkle or something new that bothers me about my face. Up until recently, I actually had “parenthesis” on my face. 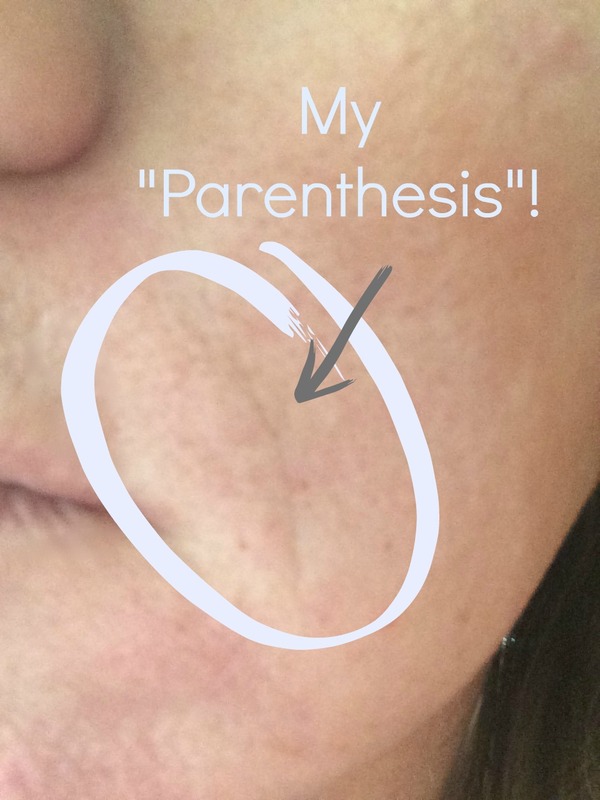 Yep, parenthesis…like one on each side of my mouth! I’m NOT ok with that! 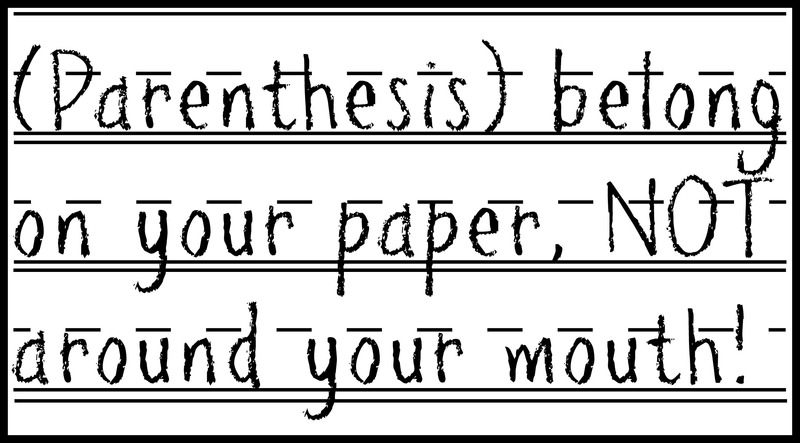 Parenthesis belong on your paper and not around your mouth! 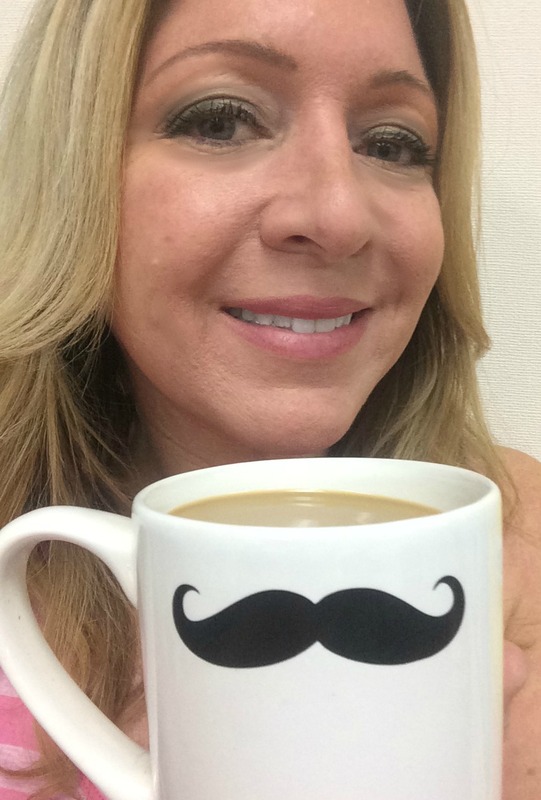 As part of CosmetiCare’s Mom Ambassador program, I scheduled an appointment at their world-class MedSpa for some Juvederm injections in my “parenthesis” area. It’s more visible on the left side of my mouth and mostly when I’m not smiling. I guess I should just keep smiling then, right? Before moving forward with the injections, I chatted with Kat, the technician, and we talked about what to expect. Juvederm is a When you receive Juvederm injections, the area you’re targeting is almost instantly transformed, allowing you to see results right away. Kat explained told me that she’d be injecting the lines next to my mouth and filling them in, but that they wouldn’t be completly gone, in order to maintain a somewhat natural look and also so that your face doesn’t end up looking too full. She gave me some ice first, to kind of numb the area. Honestly, none of it hurt so when you’re looking at my expression in this picture, I’m actually just joking! When Kat was finished injecting, the lines were almost all gone. It was a HUGE improvement and I was so happy with my results! 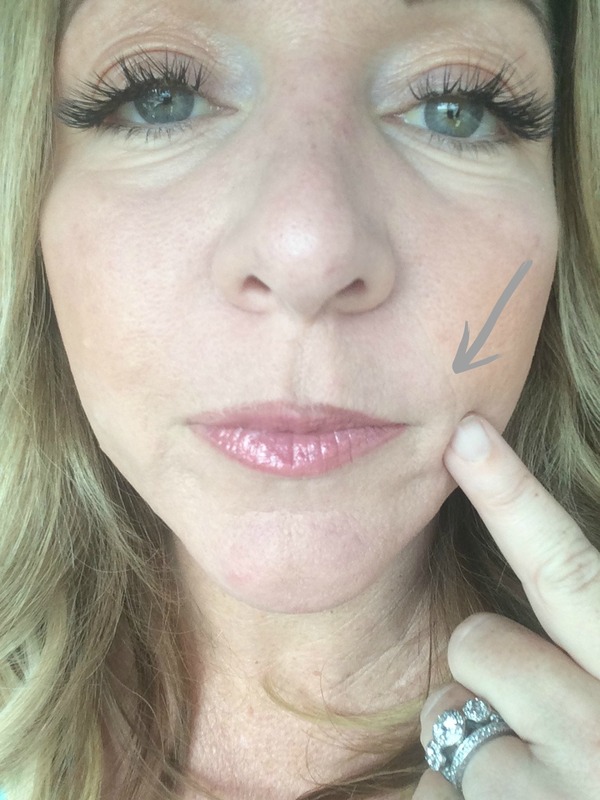 Do you have any areas on your face with lines that could use a little filling in? 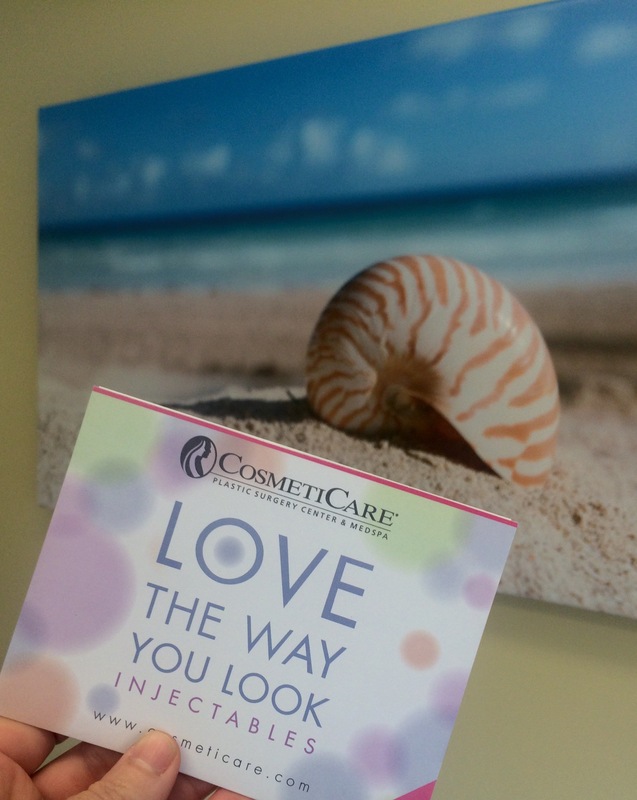 If you don’t love the way you look, maybe you should look into getting some Juvederm at CosmetiCare’s MedSpa. Schedule a complimentary consultation with one of their technicians by calling 949.537.2381. Connect with CosmetiCare on Facebook, Twitter, and Instagram. 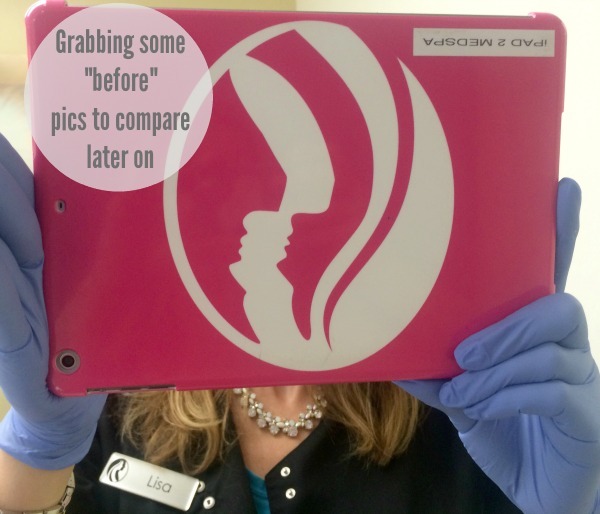 My Adventures at CosmetiCare Medspa Continue! 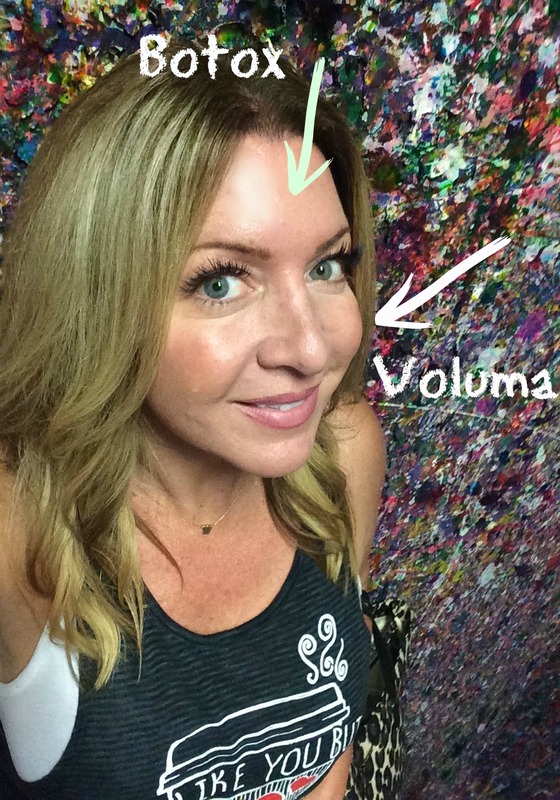 This Time I’m Talking About Voluma! 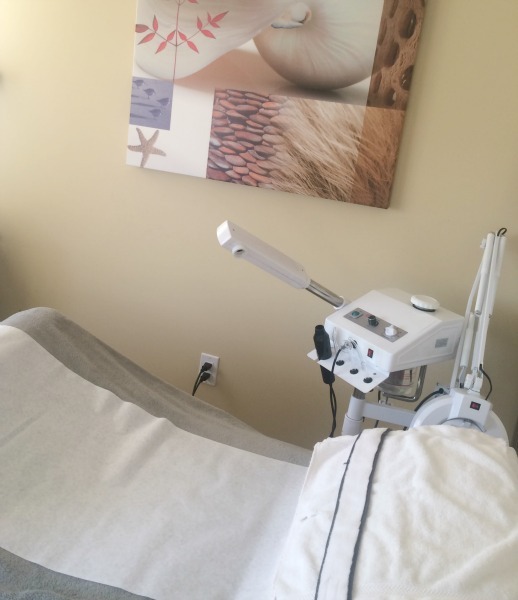 I recently wrote about my first visit to CosmetiCare’s medspa for some Botox. It was the first in a series of anti-aging treatments I get to try out as part of their Mom Ambassador program. I loved what the Botox ended up doing for my face. I feel like the wrinkles that bothered me immensely are pretty much gone, at least for now. I am amazed at all of the non-invasive and non-surgical options that are available to help fight against the aging process. 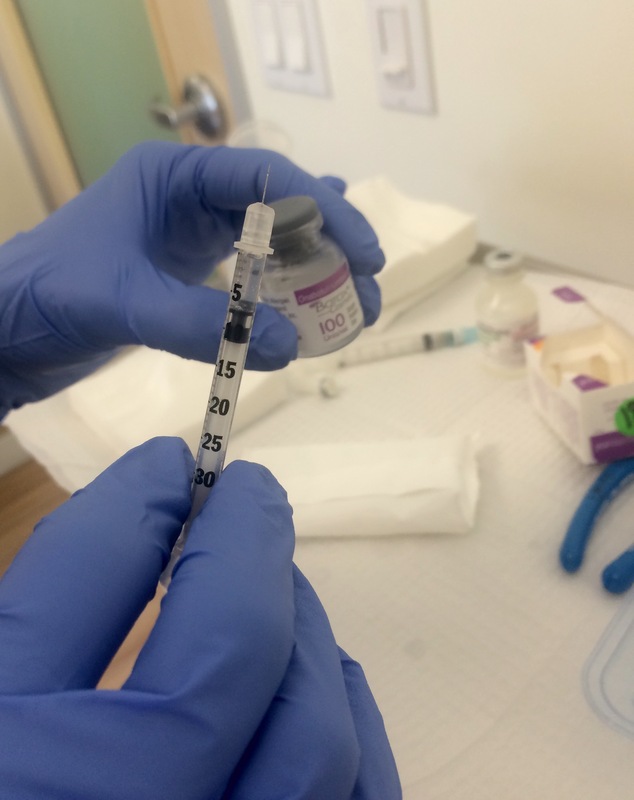 This time, I’m here to share about my experience with one of the injectable fillers they offer in the medspa at CosmetiCare, JUVÉDERM VOLUMA™ XC is my new favorite. Of course, I may actually say that about everything I’m trying at CosmetiCare because, so far, I’ve loved the Botox AND now this. It’s so convenient to have the option of getting an “instant makeover” on my lunchtime if I choose to do so. Nowadays, patients are able to get a lot of the same results that surgery used to accomplish. with virtually no down time and minimal pain. My technician and I had a little chat before doing anything. Do you know what happens to your face as you get older? It’s just not good news. I basically learned that as we get older, we lose a lot of the volume in our faces, like in our cheeks, and it can cause our face to sometimes appear gaunt. I swear there have actually been times when I’ve looked in the mirror and felt like my face was falling. Well, my consultant confirmed that it actually is falling as I age! I’m not willing to stand by and let that happen though! She suggested a little bit of “plumping” using fillers and I said “YES!” to that! 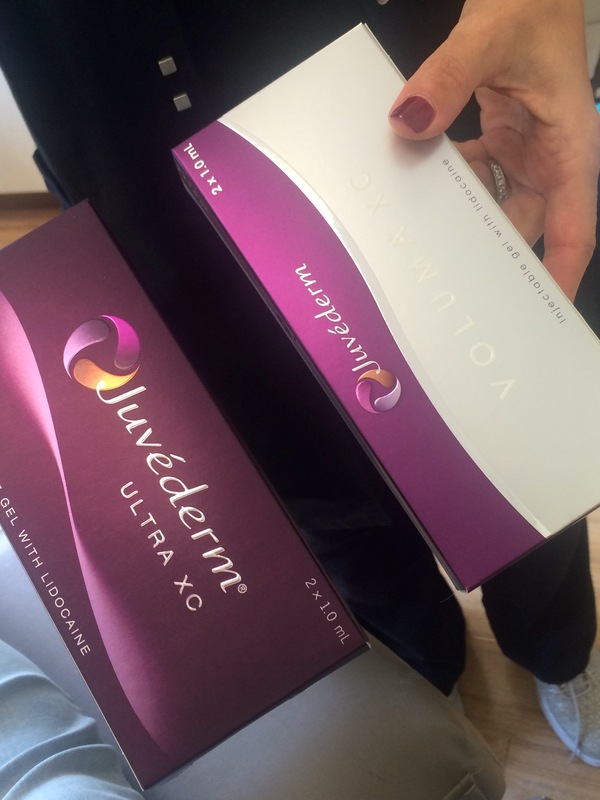 CosmetiCare offers JUVÉDERM VOLUMA™ XC. This product is an injectable gel that instantly adds volume to the cheek area. It gives you a subtle lift and helps to restore contour and a more youthful profile to your face, for up to 2 years! The technician literally drew white lines on my face where she was going to fill it in. It was really fun to see the transition in my face because she showed me one cheek when it already had filler in it. If you’re wondering if it hurts, it really doesn’t. It’s a lot of little pokes and you need to sit still, but trust me, I’m a pretty big “baby” and if I can do it, anyone can. I think the technicians at CosmetiCare are also just really good with their hands. Because they’ve received extensive training, they know how to do the injections quickly and efficiently with minimal bruising. So, I’d say that I’m extremely happy with my results so far. I took this selfie after I’d had both treatments and you can see that both the Botox and the Voluma have done their “jobs”. What do you think about my results so far? Do you have any questions for me about my medspa treatments? Ask away! Disclosure: I am part of CosmetiCare’s Mom Ambassador Program. I received medspa services in order to write my review. All opinions are 100% my own. 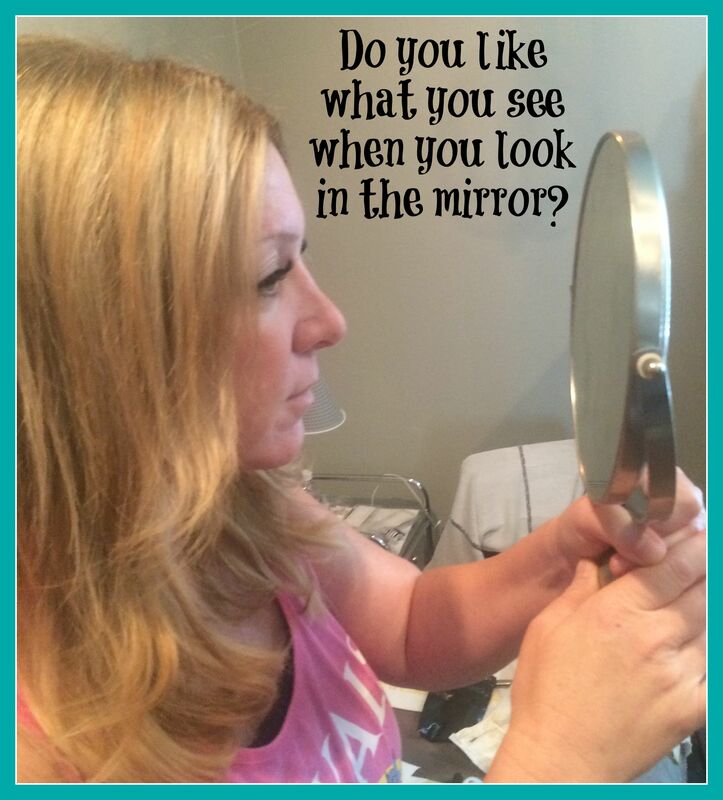 When you look in the mirror, do you like what you see? We’re all going to age eventually and basically have 2 options: embrace it and just age gracefully or be pro-active about the whole thing. In my opinion, both of these are perfectly fine options and it’s a personal choice that every individual has to make. Personally, I’m going to do whatever I can to fight this aging process. I’m going down with a fight! 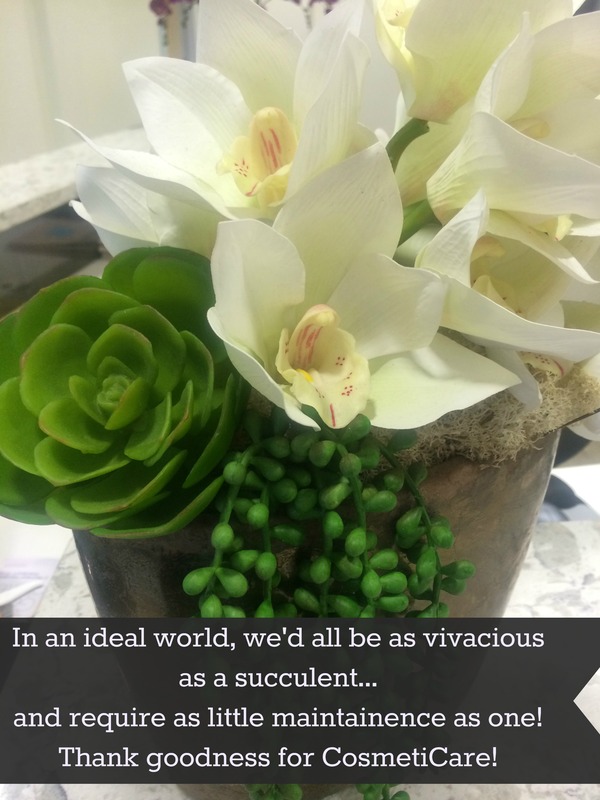 Thank goodness for CosmetiCare, Orange County’s leading cosmetic surgery center and medspa! They help thousands of clients each year to love the way they look. With a motto like “Love The Way You Look“, I know they totally “get” me! 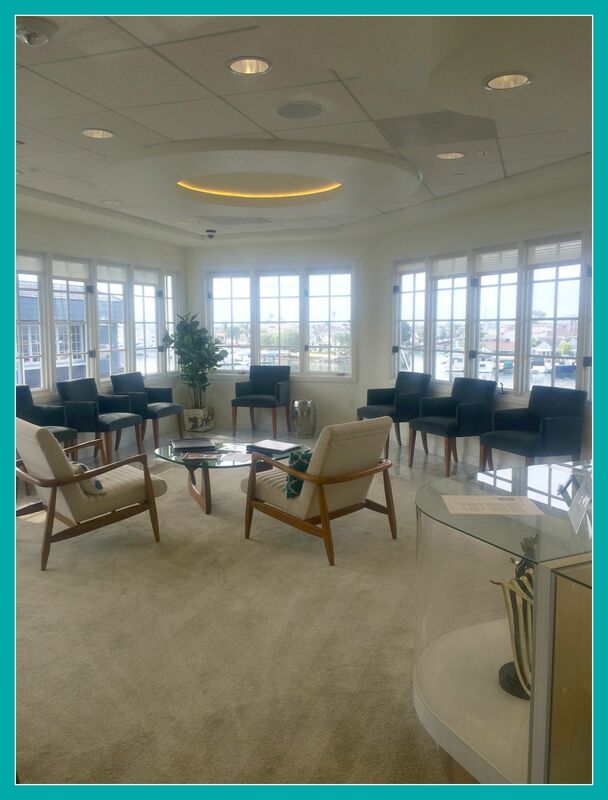 CosmetiCare is located in beautiful Newport Beach, California. (Yes, it’s where some of The Real Housewives of Orange County had procedures done.) They offer a variety of both surgical and non-surgical procedures. As part of their CosmetiCare Mom Ambassador Program, I’m excited to try out some of the anti-aging treatments available in the medspa and share my thoughts and results with you, my readers! Some of my girlfriends are also participating in this program and we’ll all be sharing about their experiences on CosmetiCare’s site, right here. The CosmetiCare medspa is an amazing place. Nowadays, it’s more common for women (and men) to be seek out non-invasive, non-surgical options, as opposed to cosmetic surgery, to keep them looking their best. On my first visit, I received a private, one on one consultation. All of the consultants at CosmetiCare are highly trained professionals that listen to the clients and figure out a custom treatment plan, according to what the client is hoping to achieve. I shared with my consultant that the wrinkles in my forehead area and between my eyes really bothered me. I also told her how much I disliked my crow’s feet. I shared how frustrating it was for me to take any pictures outside without my sunglasses on, because I’d always photograph so wrinkly or look like I was frowning. She suggested I try some Botox. I was totally onboard for trying Botox. I’d heard friends talk about getting it done before and now it was my turn. Ok so let’s talk about Botox. I never realized how much of a difference Botox can actually make on your face. I thought my crows feet were a lost cause. I look back and think about all of that high school tanning and cringe now! It’s a good idea before getting any injections, like Botox, to avoid alcohol and Ibuprofin during the days prior. This helps minimize bleeding and bruising. Your technician will most likely provide you with an ice pack to numb the area she’s going to inject, a little bit. The injections don’t “hurt”, they’re just a series of tiny pokes in each area. They feel weird but there’s honestly nothing to be afraid of. I brought a water bottle to squeeze while getting the injections. 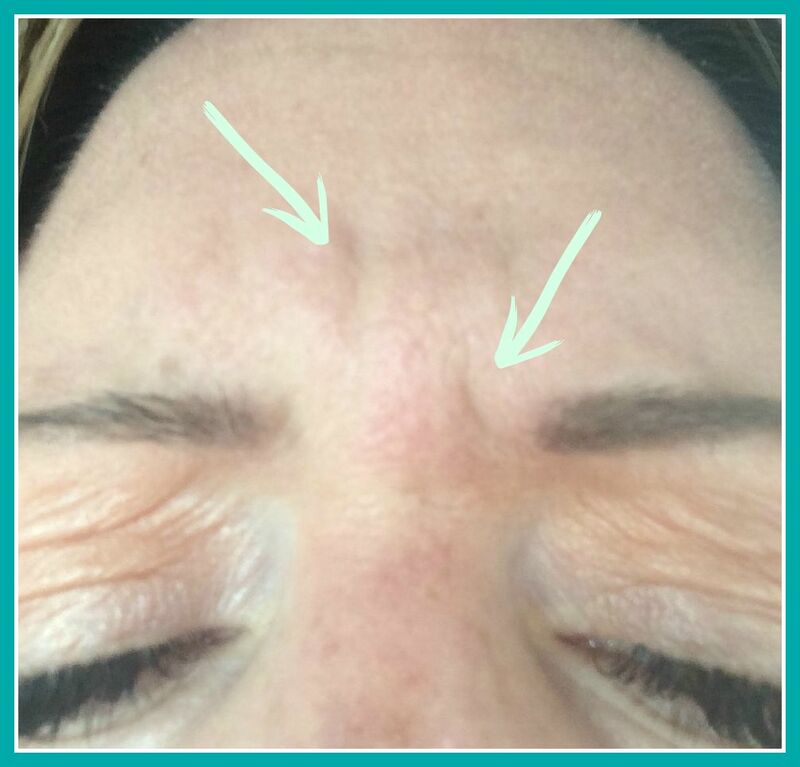 I received Botox in my forehead, in between my brows, on the outside area of my eyes, to target my crow’s feet, and even some above each eyebrow, to help lift the area some. The procedure was over pretty quickly too. 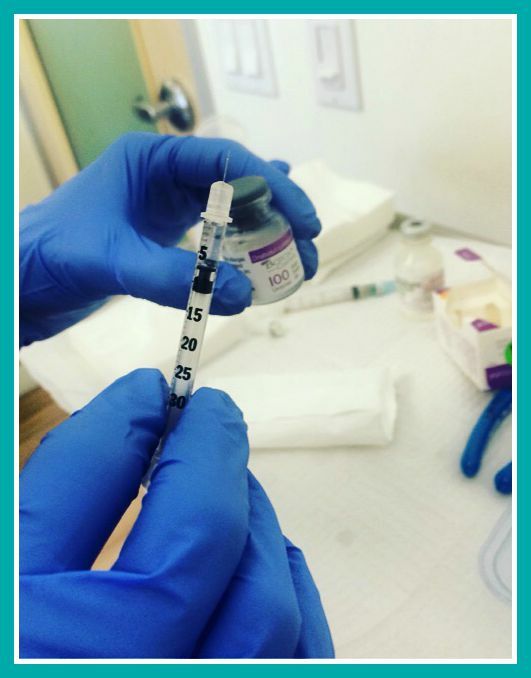 After you get Botox, you can usually see the results within 5-7 days afterwards. I can tell a huge difference in my face now and am so pleased with my results. If you look at the picture I posted above, it was taken outside, in the daylight and is unedited and has no filters on it. The area between my brows and my forehead used to wrinkle up if I was outside without sunglasses. The Botox has worked a miracle in that area. I was told that it should last about 6-9 months. 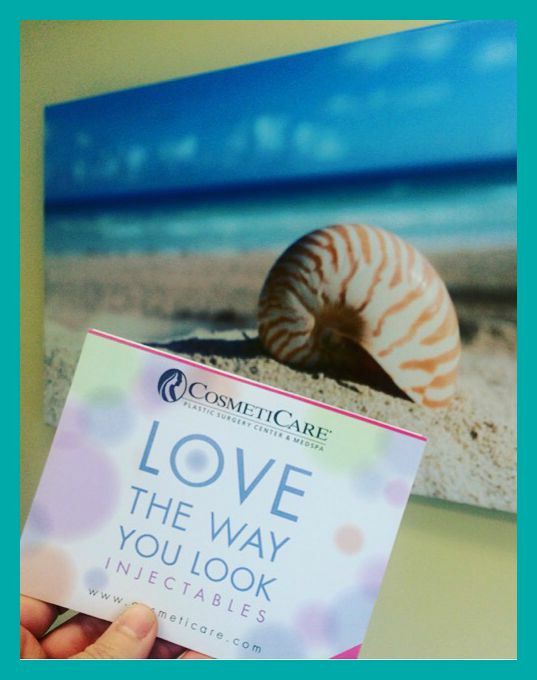 If you’ve ever been curious about Botox or any other injectables, I would recommend you just make an appointment with one of the medspa consultants at CosmetiCare and go have all of your questions answered. Most likely, you’ll want to schedule and do it right away after you meet with them because that’s how it happened for me! 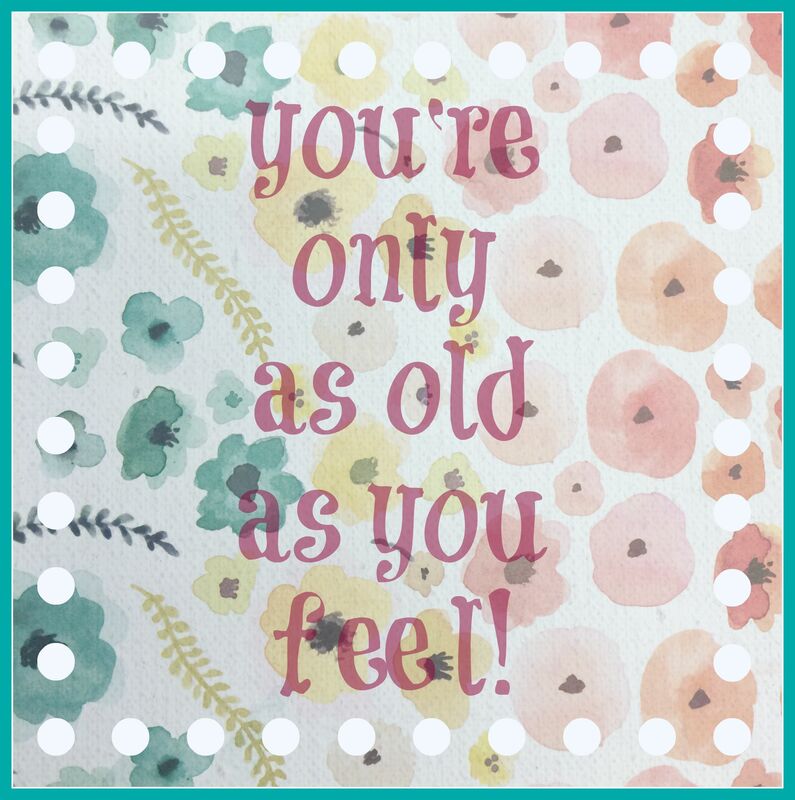 They say you’re only as old as you feel! Thanks to CosmetiCare, I don’t feel as old anymore! 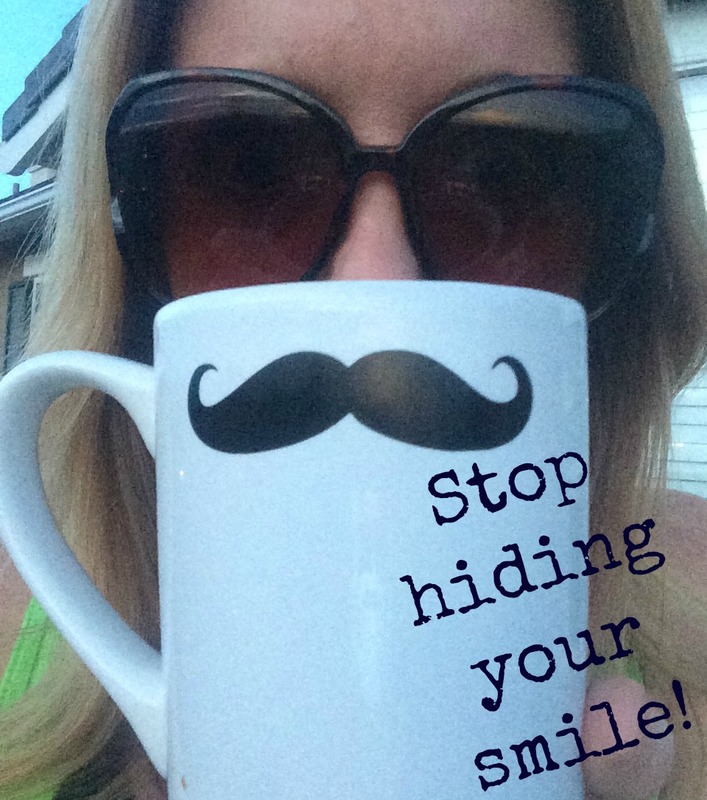 Stop Hiding Your Smile! You Can Have Whiter Teeth in Just 3 Days* With Colgate® Optic White® Express White! I can never get enough coffee, but there’s also a downside to that….it can take a real toll on the color of your teeth. There’s nothing worse than not feeling confident talking to people because you’re self-conscious about your smile. I already mentioned how busy I am! I honestly don’t save a lot of time for pampering myself. 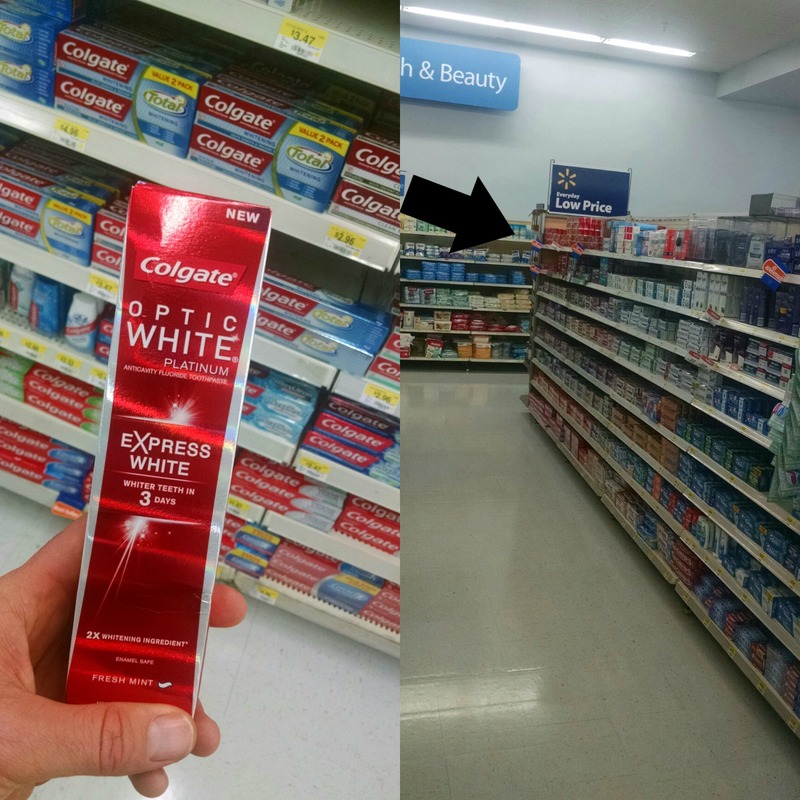 When I heard about Colgate® Optic White® Express White hitting Walmart stores, I knew I could fit that into my schedule. The promise of whiter teeth in just 3 days*, simply by brushing your teeth and without doing anything more than you normally do? Yes please! There’s nothing more real than seeing your teeth on camera, like in photos you’ve taken with your friends! I know you’re not supposed to criticize yourself but, yeah, I was definitely ready to try out my new toothpaste! Brushing my teeth is my new favorite part of the morning, next to drinking coffee, of course. I especially like that the Colgate® Optic White® Express White doesn’t have a weird taste or bother my teeth. Unlike Optic White Sparkling Mint toothpaste, Colgate® Optic White® Express White Toothpaste contains 2 times more of the professionally recommended ingredient, hydrogen peroxide. I think that has to do with why I had such great results! I was so excited about my results! I am kind of obsessed with my new tube of Colgate® Optic White® Express White so I’ve also started bringing it in my purse to work now. 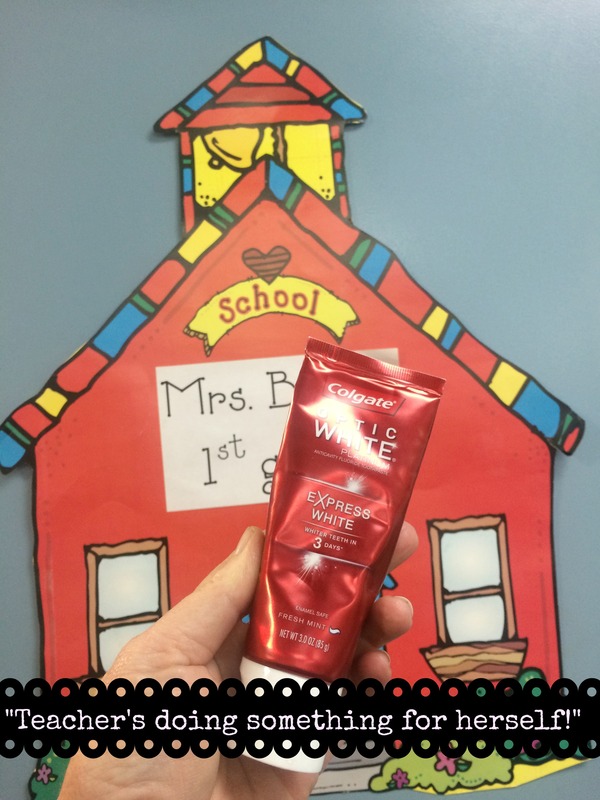 At lunchtime when my students are lined up holding their lunch tickets, I am lined up holding my toothbrush and Colgate® Optic White® Express White toothpaste! The students actually ask me why I’m carrying a toothbrush and toothpaste out to lunch? I just tell them that their teacher is doing something for herself! So, I must ask you a question…are YOU ready to do something quick and easy to whiten up your teeth? 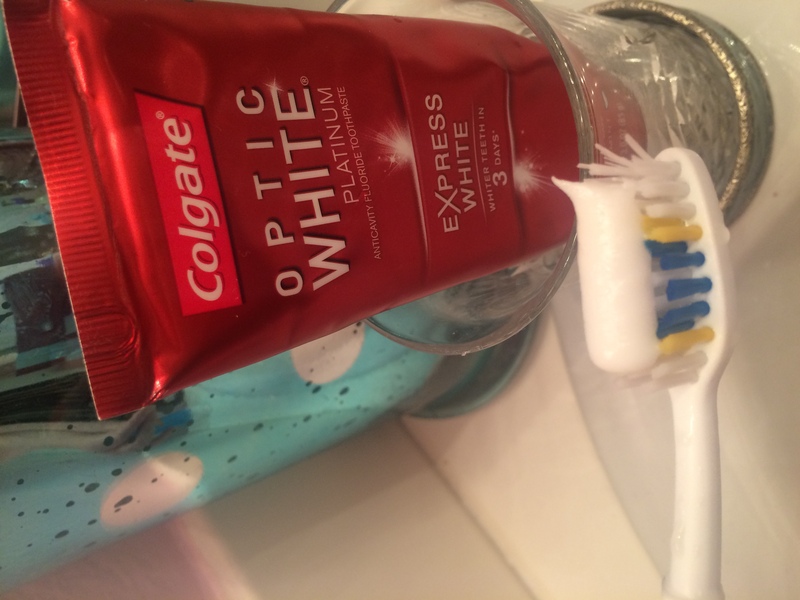 I highly suggest you run out and grab some Colgate® Optic White® Express White for yourself! You won’t regret it! I found mine at Walmart on the health and beauty aisle! It’s sold in 3 sizes: 3 oz, 4.5 oz & after March 14th the 1.45 oz travel size will be available too! 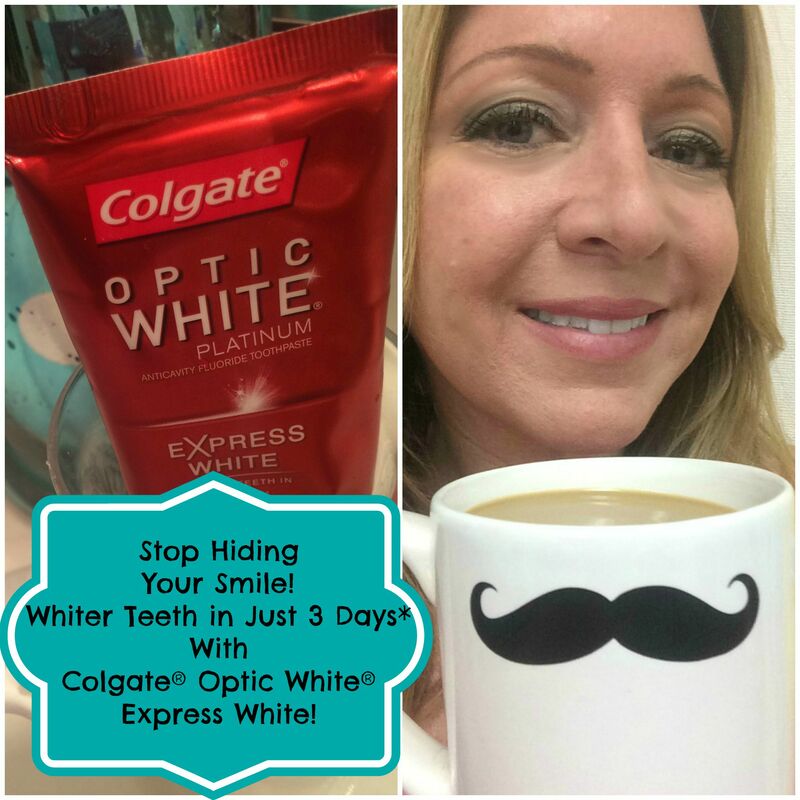 Colgate® Optic White® Express White is literally my new BFF!